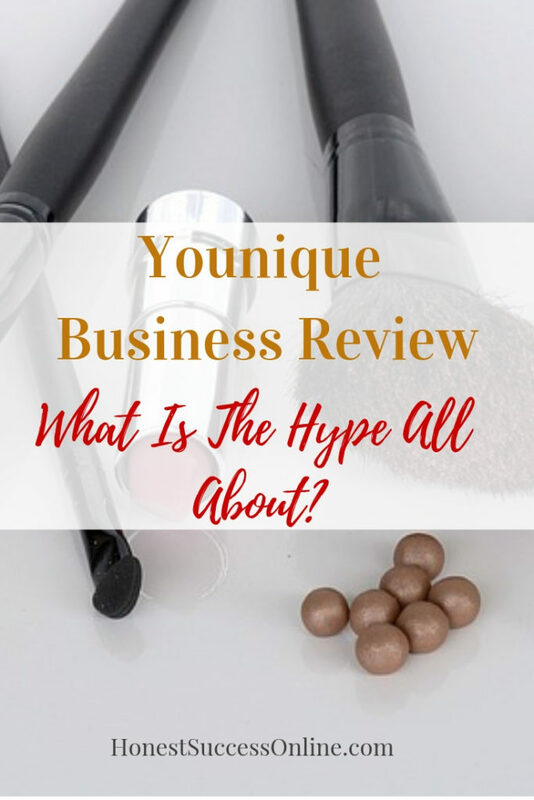 Home > MLM Companies > Younique Reviews – What Is The Hype All About? Younique Reviews – What Is The Hype All About? When you read all these Younique reviews, there is a lot of hype around this MLM company. Younique is one of the hundreds of MLM companies that offer the opportunity to get involved in direct selling and multi-level-marketing with the promise to reach the (financial) freedom you deserve and to have the lifestyle you have always dreamed of. They are very different to your usual selling method of home parties and presentations as we know it from companies like Tupperware, Amway, or Mary Kay. Younique has embraced the world of social media and sells and recruits via virtual parties. My Younique review will show in detail what it takes to get involved with this company and if it is the right business opportunity for you. Looking for a business opportunity that doesn’t involve recruiting or selling? Read my # 1 recommendation here. Younique is a very young company with only 6 years under its belt. Founded in 2012 by brother-sister duo Derek Maxfield and Melanie Huscroft, this cosmetic brand has taken the MLM world by storm. According to their website, they have almost 1 Million presenters (aka distributors) in over 13 countries. That is a huge number but I do believe that a lot of them are not very active. The reason I think so is the very attractive starter kit you’ll get for $99 when you sign up to become an independent distributor for the company. Every make-up and beauty lover will find this offer with products valued at $313 irresistible and definitely worth getting. More about the product range later. You can find Younique in the U.S., Canada, the UK, Australia, Germany, New Zealand, and Mexico, just to name a few. Many women can also relate to Youniques support for women who experienced sexual abuse as a child or during adolescence. The Younique foundation offers the opportunity for victims to spend a few days at a retreat in Utah at no costs for them. Younique has an extensive range of beauty products ranging from fragrances, skincare, make-up tools to the usual mineral foundations as well as lipsticks, eyeshadows and the likes. The most popular product is the Moodstruck 3D Fiber Lashes+ Lash enhancer mascara which retails at $29. To date, around 14 Million(!) of the Mascara has been sold. 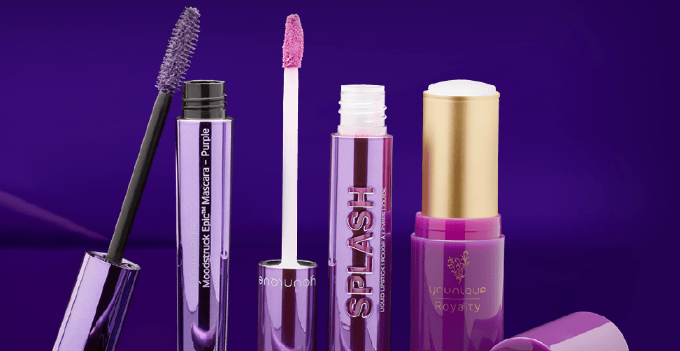 In saying that, recently the quality of the Moodstruck Mascara has been criticized by presenters and costumers alike for drying out in just a week. This happened after the company reinvented the product and tried to make it even better. When it comes to prices, most products are in the medium price range compared to other cosmetic companies. The companies slogan is “Nature Is the Inspiration Behind Our Science.” Sounds good but what it means, in reality, is not quite clear. However, it is safe to say that the products are 100% paraben-free. When it comes to whether or not the products have been tested on animals, there is no official statement on the website. Otherwise, Younique is very transparent about the ingredients. Once you click on a product, you’ll find a link to the ingredients list that shows exactly what is in it. Customers can buy the products with peace of mind. Youniqe has a 14-day-money back guarantee where you can get either a full refund or can exchange the product for a different one. In within 15 to 30 days, you’ll get an 80% cash refund, and within 31 – 90 days you are eligible for an equal valued product. It’s called the Love-It guarantee. As I mentioned before, to become a presenter, you will need to order the Starter Kit for $99 which includes lots of full-sized products and samples. Once you sign up, you get instant access to all the tools and training provided by Younique with weekly training courses, marketing tips, and your own (free) website where you can sell the products straight away. You’ll also have access to the Virtual Party tools straight away. Younique is basically the first direct selling company that uses social media platforms like Instagram, Pinterest, YouTube, and Facebook to sell their products. Say goodbye to home parties and presentations, it’s all about the virtual world. In saying that, I guess it would be still a good idea to have the good old presentations to introduce the product to new customers. Let’s talk about the money, shall we? First up, let’s have a look at the compensation plan. The compensation is fairly easy to read and to understand. You basically start off with a 20% commission on sold products including your own personal purchases. The commission can go up to 30% plus commission plus a commission for team sales on top. In comparison, Mary Kay, for instance, pays a 50% commission. To stay active and to earn commission, you need to accumulate $125 in three months which shouldn’t be too difficult. Once you get to $500 in sales (with no time limit) you get to yellow rank and will always stay there, You can’t lose a rank status. People will love the car bonus and the Fast Start Program that runs for the first 60 days. What exactly is the Fast Start program? Every time you reach $1000 in PRS (personal retail sales) you’ll get $50 in Y-cash credit. The same applies to sponsor someone. As soon as you sponsor someone in the first 60 days you’ll receive the$50 Y-cash credit. There is no limit on how much you can earn in Y-Cash credits. Those Y-cash credits can be used to buy Younique products. Also, if you sponsor tow Younique presenters and get $1000 in PRS, as a reward you will receive a make-up bag with products valued at $200. Once you make a sale, your money will be in your bank three hours after you made the sale. Younique calls it Payquicker. No auto-ship orders are required, yeah! No more home parties, instead ‘Hello’ to social media. This is great news for people who feel confident with Facebook, Instagram, or Pinterest and hate calling people or dislike presentations. You don’t need any inventory. The PayQuicker method is pretty cool. The Younique product reviews are very mixed, even more, so that presenters have finished with Younique because of poor product quality. This applies especially to the bestseller, the Moodstruck 3D Fiber Lashes+ Lash enhancer mascara who dries out pretty according to the Younique reviews. The commission payments are only between 20 and 30% which is fairly low. So to earn around $500 a month, you would have to sell at least $1500 worth of products a month. It is not clear if the products have been tested on animals. There is no statement on the website so I assume the products are not counted as cruelty-free. I personally would buy them because of that. According to Younique reviews by presenters and customers, there are lots of backorders that makes it hard to sell the product. After all, who wants to wait weeks for their product. It is easy to understand what the Younique hype is all about. The biggest drawcard is the fact that you mainly sell the products via social media through virtual parties. Let’s face it, who wants to be the ‘Hostess with the Mostest’ nowadays – the thought of inviting friends, organizing snacks and drinks and cleaning up afterward can be daunting for many. Younique makes it easy for people to join and to start straight away with selling their products by giving them instant access to the Virtual Party tool. You may have to organize parties though to introduce the product to potential new customers. I personally find direct selling/MLM a tough business where you have to learn to deal with rejection, objections, and lots of party cancellations. If you do love the products and feel they are worth the money, then, by all means, go for it. I don’t think there is a huge risk to lose money since the start up costs are low and no additional fee applies. Even though Younique makes it pretty easy to sell the product,I still think there are better business models out there than selling and recruiting. 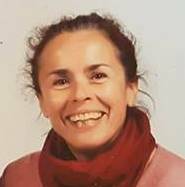 I had been a consultant with a direct selling company for over three years so I speak from experience when I say it takes a lot of hard work to be successful with the MLM business model. The initial enthusiasm rubs off pretty quickly if other people don’t share the same love for the product you are trying to sell. I’ve learned that selling stuff to people is not my strong point even though I loved the products. Ringing potential customers, dealing with return and refunds, traveling for hours to do presentations without sometimes getting any sales was tough going. I know of people who were super successful but they were working consistently for around 40 hours or more a week. Well, looking back I’d say it was a huge learning curve but not what I was looking for in an ideal business. In reality, the hours weren’t exactly flexible, instead, I had to work in the evening and on weekends. I have to be honest though: my recommended business model is not for everyone. 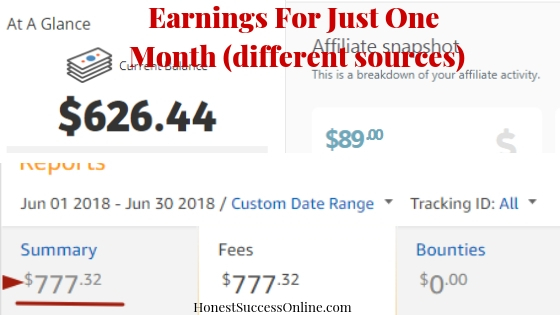 It takes at least 6 to 12 months of consistent work to see the first results aka earning money. If you are able to invest between 10 and 20 hours of work a week then you will surely succeed. Once you get the foundation right, you will earn passive income for years to come. All it takes is good training, consistent work, and taking action! Ready to take the leap and start a legit business that doesn’t involve recruiting or selling? Sign up here for free!